True to the words of the angel, Elizabeth did conceive a child. She hid herself for five months and didn't go anywhere. One day she had a visitor. 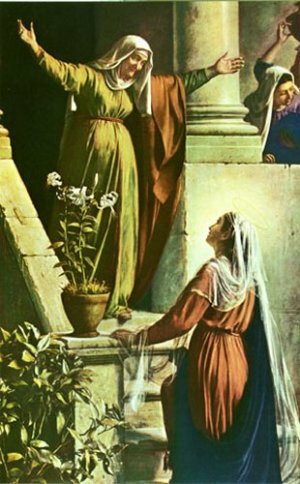 It was her cousin Mary, who had also been visited by the angel Gabriel who told her she would be the mother of Jesus. 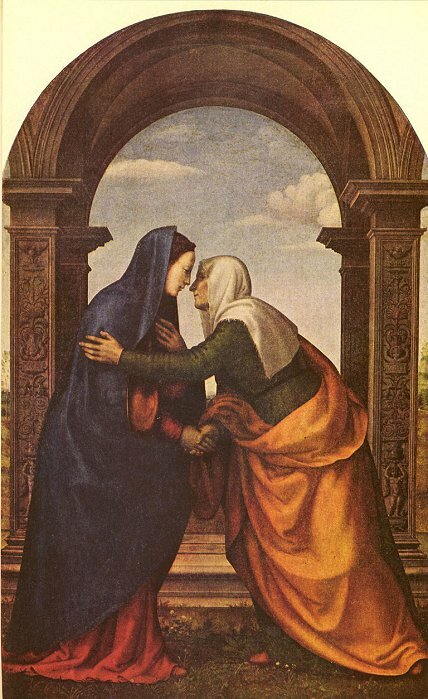 But even before Mary could tell her the news, Elizabeth, filled with the Holy Spirit, already knew. 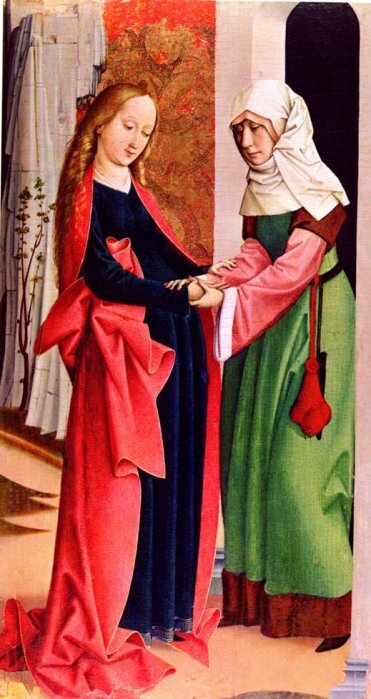 She said to Mary, "Blessed are you among women, and blessed is the fruit of your womb! But why is this granted to me, that the mother of my Lord should come to me? " Mary then began her beautiful song. "My soul magnifies the Lord, And my spirit has rejoiced in God my Savior. For He has regarded the lowly state of His maidservant; For behold, henceforth all generations will call me blessed." Elizabeth and her husband raised the child and he grew and became strong in spirit. We have also been chosen for a special purpose. We read in 1 Peter 2:9 "But you are a chosen generation, a royal priesthood, a holy nation, His own special people, that you may proclaim the praises of Him who called you out of darkness into His marvelous light." (1 Peter 2:9 ) Our purpose is to proclaim the praises of God. Let us take this calling seriously and live up to what God expects of us as His chosen children. English Bible Activities Select story #164 and 166 in the list for activities to accompany this Bible story. Spanish Bible Activities Select story #164 and 166 in the list for activities to accompany this Bible story. Press "Go" to search for books about John the Baptist. I love the lord and i will try my all best to be a kind gentle person and that i will always love god in my heart, mind, and also my soul. Yes i had recieved an email from you saying to go to christiananswers.net but i dont know where to go. I also need to know how do i take out my bad sins. This page displayed 55,674 times.